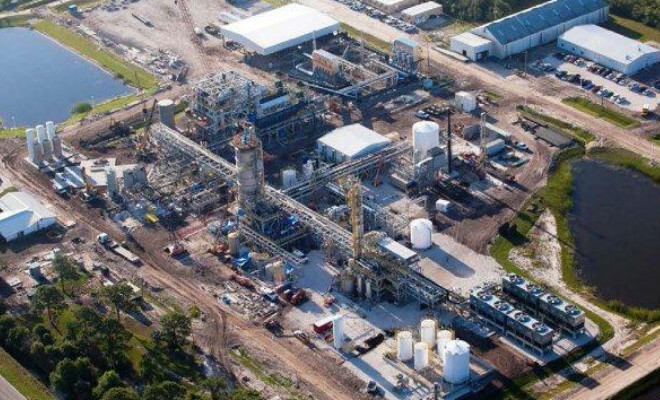 Ineos Indian River BioEnergy Center, located in Florida, USA, announced today, August 1, that is ready for a commercial scale cellulosic’s ethanol production. The first shipments of ethanol will depart later this month. This is the first commercial-scale production in the world to use the technology of gasification and fermentation to convert biomass waste into ethanol and renewable energy, according to RFS – Renewable Fuels American standards. It is expected that the facility produces about 8 million gallons per year of cellulosic ethanol and 6 MW / h of renewable energy.